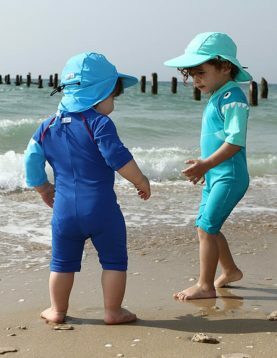 SunWay > Products > Babies > UV Protective Swimwear > One Piece Swimsuit "Over-all"
The premier bathing suit for babies is SunWay’s swimsuit, made from the finest sun protective material. Available from 2 month up to 36 months. An overall-style bathing suit made from sun protective UPF50+ fabric. The ideal solution for spending time at the beach or pool without being susceptible to the harmful effects of the sun. The UV Swimwear is fitted, doesn’t move, ride, twist or balloon out in the water. It dries quickly and is comfortable to the touch. The best part in the Baby UV Swimsuit is that by using a side zipper on the outer leg, the unique cut makes it possible to change a diaper for your baby without having to take the suit off. 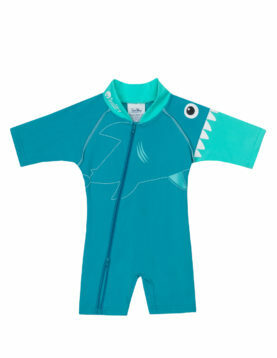 An inner fabric pocket separates the baby’s delicate skin from the regular-sized zipper. The fabric is highly resistant to Chlorinated water. Available in sizes 2 to 36 months. suit made from sun protective UPF50+ fabric. The ideal solution for spending time at the beach or pool without being susceptible to the harmful effects of the sun. The UV Swimwear is fitted, doesn’t move, ride, twist or balloon out in the water. It dries quickly and is comfortable to the touch. The best part in the Baby UV Swimsuit is that by using a side zipper on the outer leg, the unique cut makes it possible to change a diaper for your baby without having to take the suit off. An inner fabric pocket separates the baby’s delicate skin from the regular-sized zipper. The fabric is highly resistant to Chlorinated water. 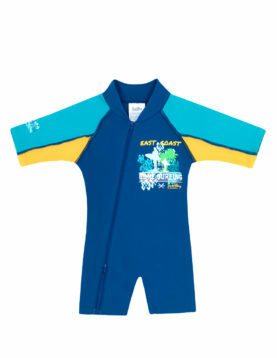 The premier bathing suit for babies is SunWay’s swimsuit, made from the finest sun protective material. Available in sizes 1 to 36 months. The premier bathing suit for babies is SunWay’s swimsuit, made from the finest sun protective material. 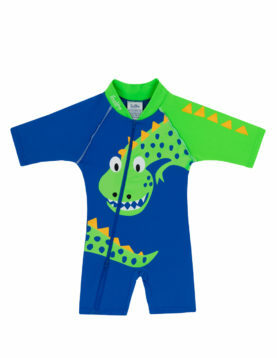 Available in sizes 2 to 36 months.